Chronic tendon injuries are a common cause of pain and of restriction of sports or daily life. Even though a number of published studies have focused on tendon injuries, healing and treatment, the pathogenesis still remains enigmatic. The pathogenesis of chronic tendon injuries is considered multifactorial, however the precise role of each predisposing factor remains incompletely understood. The association between tendinopathy and pain should also be clarified, as the presence of tendinopathic lesions does not always lead to symptoms, but they are the necessary pre-existing conditions for spontaneous tendon ruptures. In this article, the histological features, the pathogenetic theories of tendinopathy, and the possible sources of pain are reviewed. 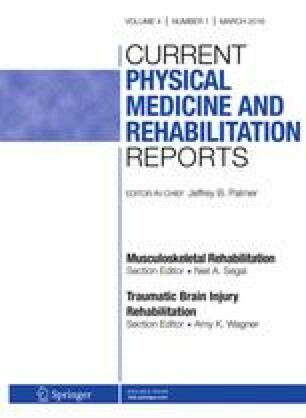 This article is part of the Topical Collection on Musculoskeletal Rehabilitation. Alessio Giai Via, Gabriele Papa, Francesco Oliva, and Nicola Maffulli declare that they have no conflict of interest. American Academy of Orthpoedic Surgeons. Rotator cuff tears. OrthoInfo 2011. http://orthoinfo.aaos.org/topic.cfm?topic=A00064.